This is a Rockler product that is well made and does exactly what it says it will do. It’s about $20 if you get it at regular price. I have used it on two occasions to rip several 1/8” strips to face the front of birch plywood wall shelves. Tonight the strips were from a drop of Poplar that otherwise would have been used as a bunch of stirring sticks on its way to the burn pile. I got three 1/8” x 96” pieces from the 3/4” x 5/8” x 96” I started with. I have seen the complaint that the scale is not numbered, but IMO that is not a problem since all you have to do is set the tip to the blade edge, then back it off 1/16” or 1/8” or 3/16” or whatever the desired rip thickness is (the scale is in 16ths, but seeing 32nds is easily do-able as well), then after the first cut back it off the same distance (number of lines on the scale) for the next and every successive rip. The numbers would not mean anything to me. 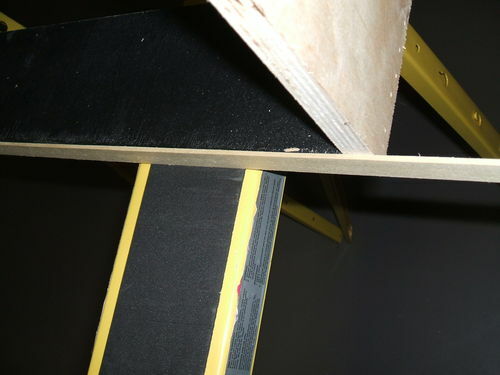 It is a very useful jig that (for once) costs less than the trouble to make one. It has already saved me 64 feet of 3/4” screen mold (and the gas and time to go get it), so in my mind it paid for itself on the second date. Worthy of 5 starts and highly recommended if you need thin rips. Nice review, I have had mine about a year and also recommend it. I also like mine. While making a shop built jig wouldn’t be difficult, I felt that it was a cost effective purchase. I bought one of these but discovered it was no good for using on my cabinet saw since the miter slot was not close enough to the blade to get a rip less than 3/4”. If it would have extended just another 3/4” it would have been useful. It gathers dust now somewhere in my shop. I have one and like it. Got it on sale, good value. I also like its featherboard like qualities. I like the looks of this. I think i want one! 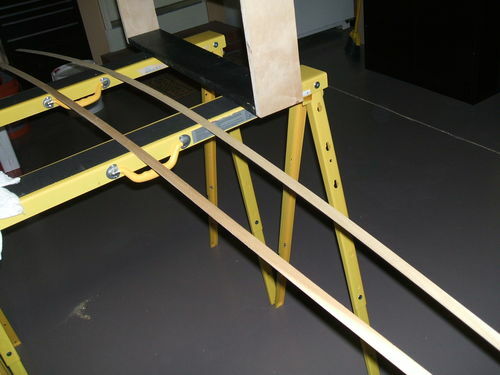 I have this jig as well, and I like it ok, but to be honest I don’t use it much I end up using push sticks much more than the jig, so I can just set up the fence once and start ripping. Much quicker and less hassle. I have one of these that gets a lot of use not only as a thin rip jig but as a featherboard. I am really tight so it means something when I say: “This was well worth the money.” Greg…. I never thought about the miter slot being too far from the blade, You must have a BIG saw! I have one, use it alot and love it. I never used one of these, guess I have to now. Thank you for the fine review. Same comments… works well for me. Beats me trying to make one. Got it on sale or free shipping… No need for numbering on scale… it is all relative. I prefer to use gauges anyway. It makes cutting thin slices safer. Thanks for posting this ,DG ,and thanks to Greg for mentioning the possible shortcomings regarding cabinet saws. Greg , I have a JET 3hp left tilt…what is your saw ? I wanted to get one of these now I will thanks.